Facebook says it has not found any fresh evidence of co-ordinated Russian efforts to influence the 2016 Brexit vote through its social media accounts. MPs had asked the firm to re-examine whether there was organised activity by groups to target UK voters beyond the three ads that it reported last year. 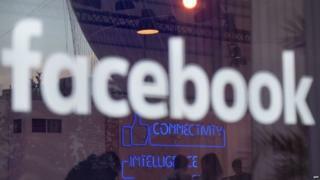 The tech giant said it had found nothing beyond "the minimal activity we previously disclosed". Theresa May has accused Russia of meddling in foreign elections. In a speech in November, she said Russia's attempts to "sow discord" in the West could not go unchallenged and warned President Vladimir Putin: "We know what you are up to." Following a request by the Electoral Commission last year, Facebook Ireland looked into whether an organisation known as the Internet Research Group had used its platforms to spread disinformation during the Brexit poll, which saw the UK vote to leave the EU. Facebook told the BBC in December that it believed the group's output amounted to just three UK-related adverts which had reached no more than 200 UK-based viewers over four days. MPs on the Commons Digital and Media Committee said they were not satisfied with this and pressed for a broader investigation. But Facebook's UK policy director, Simon Milner, said that having reviewed the output of thousands of other advertisers in the run-up to the poll it did not find any evidence of any potentially suspicious "clusters". In a letter to Damian Collins, the Tory MP who chairs the committee, he said: "Our investigators looked for co-ordinated activity tied to Russia which pertained to the EU referendum, in the form of ads delivered to people in the UK in the run-up to the vote. "The investigation team found no additional co-ordinated Russian linked accounts or pages delivering ads to the UK regarding the referendum... beyond the minimal activity we previously disclosed." The findings, he said, contrasted with the results of its probe into alleged Russian social media interference in the 2016 US Presidential election, which is the subject of a wider criminal investigation by the FBI. In January, the US director of national intelligence identified the Internet Research Group as a vehicle for spreading misinformation. The firm was among three companies named in an indictment earlier this month - in which 13 Russians were charged with meddling in the American political process. Facebook said it would be willing to assist the UK authorities should they decide to launch a similar criminal investigation and remained committed to helping to protect the integrity of future British elections. Foreign Secretary Boris Johnson has said he had not seen any evidence that Russia sought to interfere in the 2016 referendum - about which the Kremlin has insisted it remained neutral.